MEMBERS:WA WA PROJECT-Social Creative Platform for Opportunity-Know and support projects in eastern Japan ! With a team of artists, architects, community designers, and local coordinators in Iwate, Miyagi, Fukushima, and Tokyo, WA WA Project aims to support, engage, and connect people who are actively working for regeneration and recovery in the effected areas in Tohoku. Born in Akita prefecture, 1963. 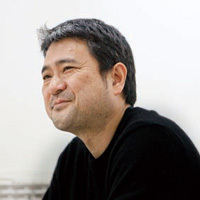 Currently, Director of the 3331 Arts Chiyoda, an artist-run alternative arts center since March, 2010; Associate professor at the Tokyo University of the Arts. Has developed various projects related to "Art and Society" and "Art and Education." Represented Japan at the 49th Venice Biennale (2001). Also founder of the artist initiative Command N producing a range of projects in such places as Akita and Toyama prefectures. Born in Saitama Prefecture, 1964. Architect. Head of Shinbori Atelier (1999 -). Graduated from the Department of Architecture, University of Tokyo. Worked at Tadao Ando Architects & Associates (1990-1996). 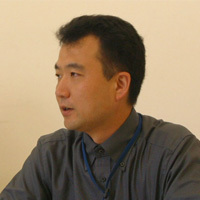 Vice-president of an NPO community development program which he established in 2003 after his experience in the former Dojunkai Ostuka women's apartment renovation project. Actively engaged in initiatives linking architecture and urban development. Participated in the 1st Lisbon Architecture Trienniale, Portugal (2007). My sincere condolences to those people who have been affected by the Tohoku earthquake and tsunami, which occurred on March 11, 2011. I have had opportunities to learn and listen to stories in several locations around eastern Japan, leaving with a strong sense that I should treat each city and each location as a separate case in drawing up a the recovery plan. Closely working with local communities, I hope to define the new sense of creativity that can become the power and the value for regeneration. How to move away from the short-term emergency situation and to focus on tenacious everyday living plans is also an important consideration for this recovery effort.